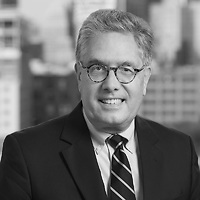 Tom Curry, a partner in Nutter’s Corporate and Transactions Department and a co-leader of the firm’s Banking and Financial Services group, will moderate a roundtable discussion on Fintech Charters at LendIt Fintech USA 2019. LendIt Fintech USA is the largest global event in lending and fintech, where thought leaders, government officials, and innovators come to discuss the future of financial services. Innovation is shared, connections are made, and business is done among the more than 5,000 attendees.